Toshiba Corporation's (TOKYO:6502) Storage & Electronic Devices Solutions Company today announced the launch of new two mid-voltage products, the 100V "TLP3823" with a 3A drive current, and the 200V "TLP3825" with a 1.5A drive current, additions to its line-up of large current photorelays to replace mechanical relays. Mass production shipments start today. Alongside Toshiba’s current 60V “TLP3547” with a 5A drive current, the new products with drive currents higher than 1A will extend the range of photorelay application. Recent years have seen accelerated replacement of mechanical relays with photorelays. Toshiba is supporting and promoting this shift by applying its latest trench MOSFET, 8th generation UMOS, to realize output currents exceeding 1A. 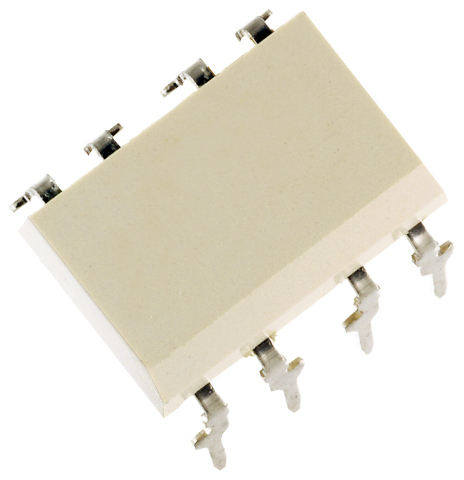 Unlike mechanical relays, photorelays have no physical contacts subject to wear and tear, an advantage that contributes to set reliability. Use of photorelays also supports development of smaller and thinner products. Toshiba’s new photorelays also offer the advantage of a guaranteed pulsed on-state current that is three times larger than continuous on-state current, securing a bigger margin for safety design. The latest Gartner market report recognizes Toshiba as the leading manufacturer of optocouplers by sales in 2015 and 2016, with a 23% by sale-based market share in CY2016. (Source: Gartner “Market Share Semiconductor Devices and Applications Worldwide 2016”, 30 March 2016). Follow the link below for more on the new products and Toshiba’s photorelay line-up.